Works in concert with the Advanced Pocketed Coil® Technology to create our most conforming back support. DualCool™ Memory Foam contains natural Silver and is designed to help move heat away from the surface of your mattress so you stay cool and comfortable while you sleep. The Silver's anti-microbial properties prevent the growth of odor-causing bacteria, mold and mildew in the foam to help keep your mattress fresh. 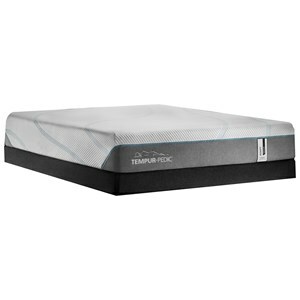 The Silver Hybrid Harbour Beach Luxury Firm Queen Mattress and Low Profile Triton Foundation by Beautyrest at SlumberWorld in the Honolulu, Aiea, Hilo, Kailua-Kona, Maui, Hawaii area. Product availability may vary. Contact us for the most current availability on this product. The Beautyrest Silver Hybrid mattresses combine the conforming support and motion separation of the legendary Pocketed Coils with the pressure relief and back support of Memory Foam. Each mattress contains a 1" top layer of DualCool™ Technology Memory Foam, with natural Silver, to help move heat away from the surface and let you sleep cooler. 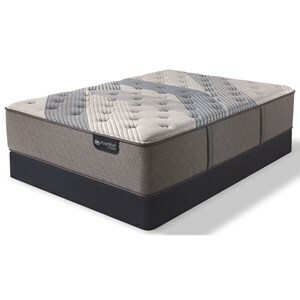 If a relaxing nights rest is what you are after, try a Beautyrest Silver Hybrid mattress. The Silver Hybrid Harbour Beach Luxury Firm collection is a great option if you are looking for Mattresses in the Honolulu, Aiea, Hilo, Kailua-Kona, Maui, Hawaii area. Browse other items in the Silver Hybrid Harbour Beach Luxury Firm collection from SlumberWorld in the Honolulu, Aiea, Hilo, Kailua-Kona, Maui, Hawaii area.